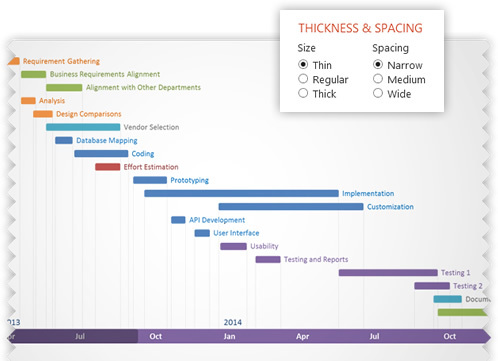 Office Timeline - Make professional PowerPoint timelines and gantt charts in seconds! 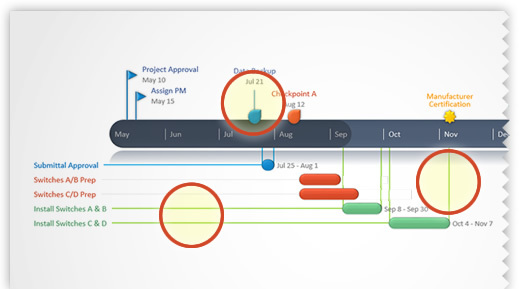 Make professional timelines quickly, right inside PowerPoint! A $20 OFF coupon is already applied! Office Timeline is the only software built that completely integrates with PowerPoint to deliver stunning presentations. It produces professional, elegant timelines and gantt charts that no other application can match. 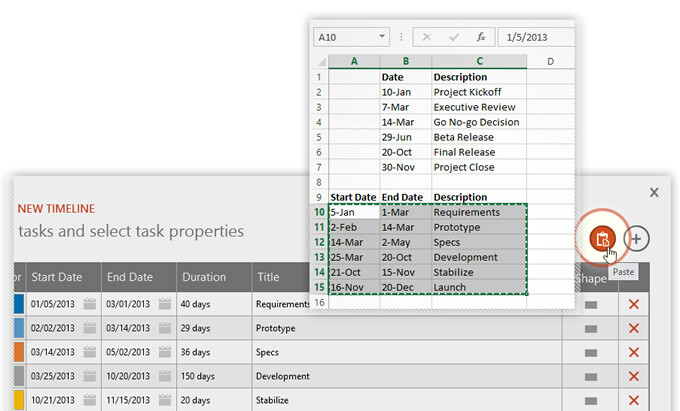 Office Timeline lets you copy your project information from Excel and paste it into the Timeline Wizard for quick timeline creation and updates. Project reviews typically present the most critical and high-level aspects of the project, however sometimes you just need extra details. 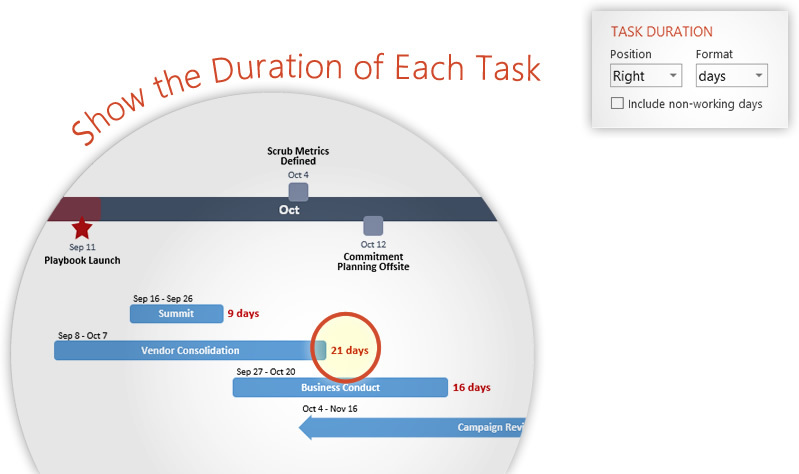 Office Timeline lets you change the size and spacing of tasks so you can add the extra details your timeline needs. Office Timeline allows you to add, hide, or change the horizontal and vertical connectors. Customize colors, customize sizes, or remove them from view. Office Timeline allows you to communicate more specific and important details such as how many days, working days, or working weeks each task spans. Download FREE templates and designs for PowerPoint! Save on the best PowerPoint tools.